We here at the Institute are committed to equipping the next generation of teachers and evangelists to spread the gospel of Jesus Christ and supporting those already in the trenches. We serve the parishes by providing competent, spirit-filled leaders grounded in the beauty and truth of the Catholic faith. 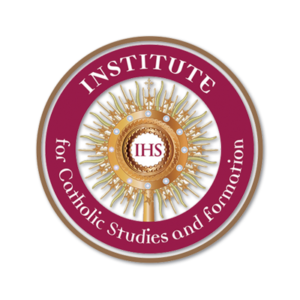 The Institute offers educational options for all level of learners, whether it be those seeking an advanced degree, those who want to grow deeper in their faith, and those needing diocesan certification.